812 Tifft Street. 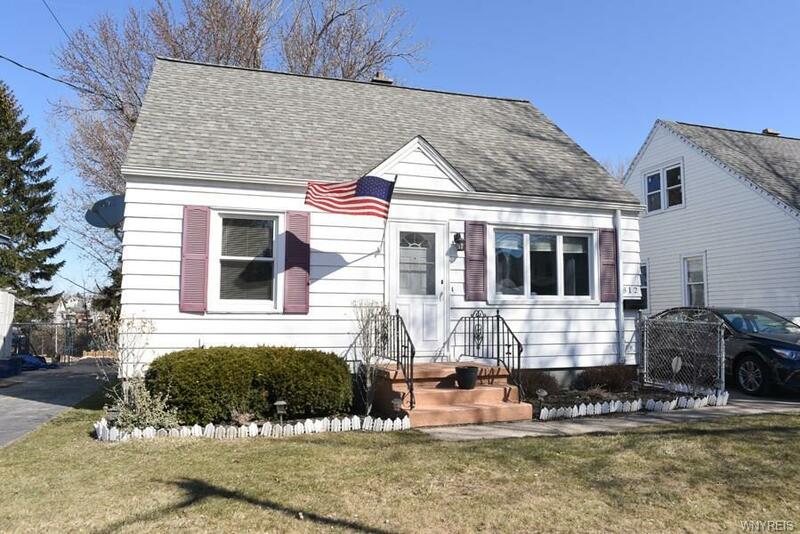 Bright, spacious yet easy to manage South Buffalo Cape Cod. Younger roof, attractive vinyl exterior and an exceptional fenced yard overlooking a wooded area. Great living spaces include a big living room, two first floor bedrooms and a massive, 2nd floor bedroom suite w/ a walk in closet. Fresh, smooth walls and ceilings, refinished oak floors and a kitchen w/ great cabinet and workspaces. ceramic tiled bathroom, tall poured concrete basement with updated mechanical systems.